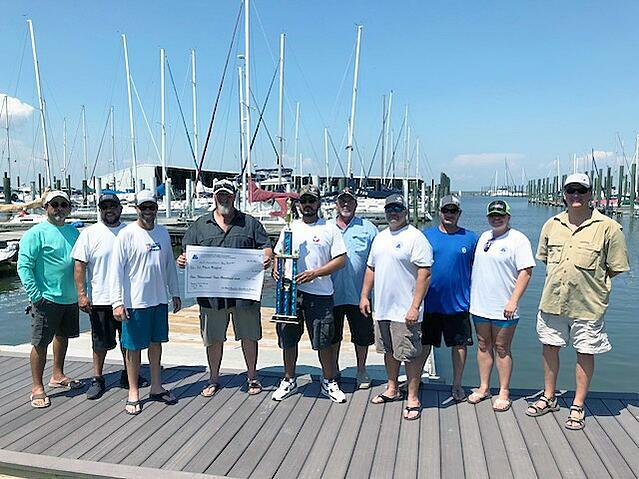 The port team earned several awards, including the top spot in a major category during the tournament, and donated the prize money back to the chamber's education scholarship fund and the La Porte Police Department. Tracey Turrentine, a longtime employee and Mechanic 1st class at Bayport Terminal, earned the first place trophy and prize for catching the largest red fish. The LaPorte-Bayshore Chamber of Commerce is a nonprofit organization that leads the promotion of business, economic development and support of the La Porte-Bayshore community. The tournament provided a chance for port employees to participate with the local communities and engage several key stakeholders in the areas near our container terminals. As a steward and neighbor of Galveston Bay and the Houston Ship Channel, the port had six teams of employees work together during the competition. The event was held at the Houston Yacht Club.